WOBB have released a report on Malaysian work culture, with a surprising statistic showing that workers prefer better office cultures over high salaries. Recently, millennial-focused job platform WOBB released the results of a survey conducted among working professionals in Malaysia. 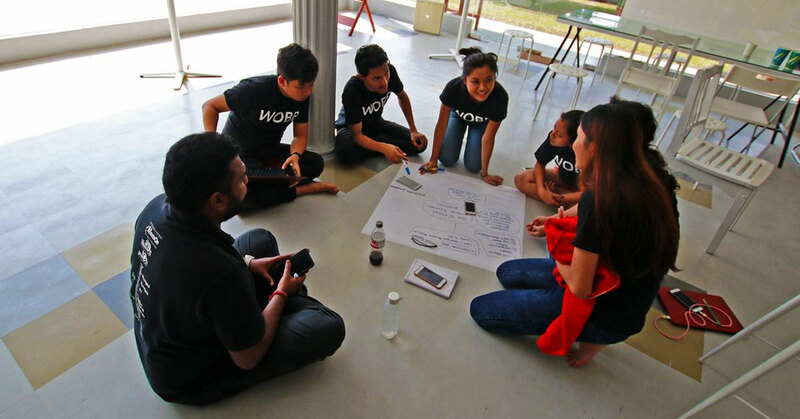 In the survey, they covered topics relating to job search behaviour and office culture and published their findings based on the views and opinions of employed Malaysians from the ages of 18 and up (those from the 24 to 37 range made up the bulk of it). But among the findings, one statistic made for the most interesting find—the preference among professionals for a better work environment over higher take-home pay. The report showed that a staggering 83.9 percent of respondents would rather work in an office with a good work environment and earn a lower salary, as opposed to earning more while working in a company with a poorer work culture. Going into detail, the report showed that working professionals today make their decisions to enter a job based on traits such as career growth, social connections, company progressiveness, and brand prestige—all of these traits beating out things like competitive salaries and performance bonuses. 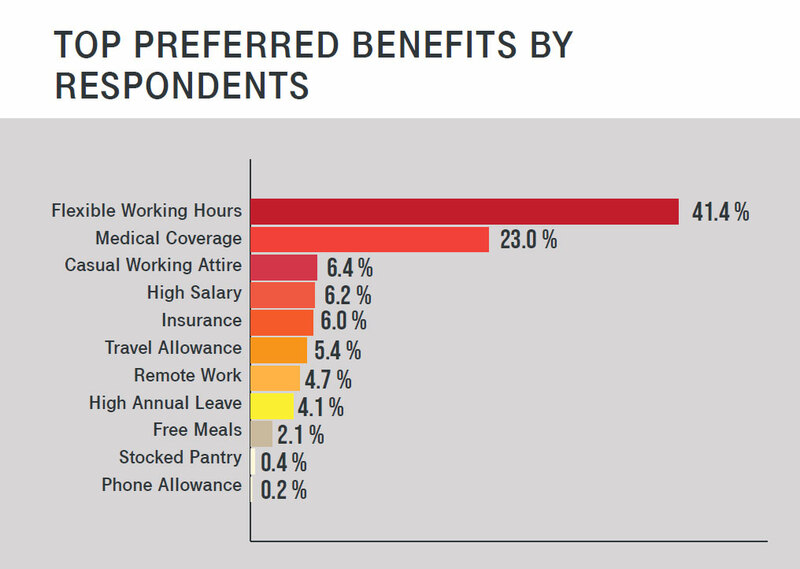 Even when discussing benefits, respondents indicated that they would rather have perks such as flexible working hours, better medical coverage, and even the option to wear casual-wear to the office—all this over a higher salary. Interestingly enough, this trend is also mirrored elsewhere, with countries like the UK also putting forward findings that suggest people prefer to be happy at their jobs and take home lower pay than be highly paid while being miserable. So what does this mean for bosses and hirers in today’s landscape? Clichéd as it may sound, money can’t buy happiness, and employers should really look at placing more importance on the mental and physical well-being of individual employees. In today’s job landscape, the message of work-life balance has been become more prevalent, with innumerable articles and social media commentary posts putting forward the idea that individuals should have the right to at least feel satisfied wherever they work. Truly, cases of reported deaths due to overwork and stress have also become more numerous over the past decade and this has only served to embolden the voices calling for better working conditions on the part of employers. In equal measure, working professionals are also now heeding such messages and are now having more keen expectations when looking for new positions. This all signals a shift in hiring trends compared to years ago. So what’s changed? Perhaps a decade or two ago, money was the driving force behind how people made decisions on their next career move. In those times, things were different—the internet was still something very new, the overall idea of what a stable career should look like was more rigid, and the tech advancements that would allow for things like smooth video conferencing and cloud co-working weren’t fully fleshed out. Neither was there the avenue of social media for individuals to share their disgruntlement with their working conditions. Today we have all of that, and the options are now more accommodating for workers to enjoy more flexible options and healthier vibes in the workplace—work-from-home days, flexible hours, team-building exercises, and practices to make the workplace more enjoyable are now more common. But every individual is different, and what constitutes a good working environment can vary from person to person. So how can companies change to cater to the diversity of these needs and wants? In their report, WOBB noted that companies should portray their unique cultures as accurately as possible in the hopes of attracting the talent that suits them the best. You can check out WOBB’s platform here.